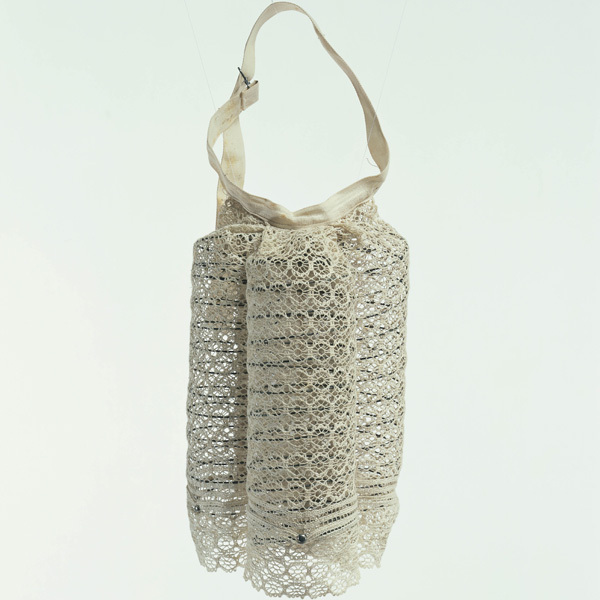 White cotton lace with coiled steel wire. 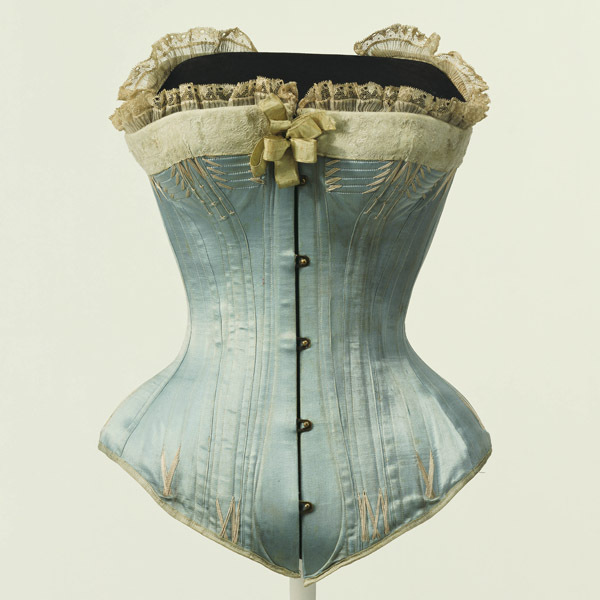 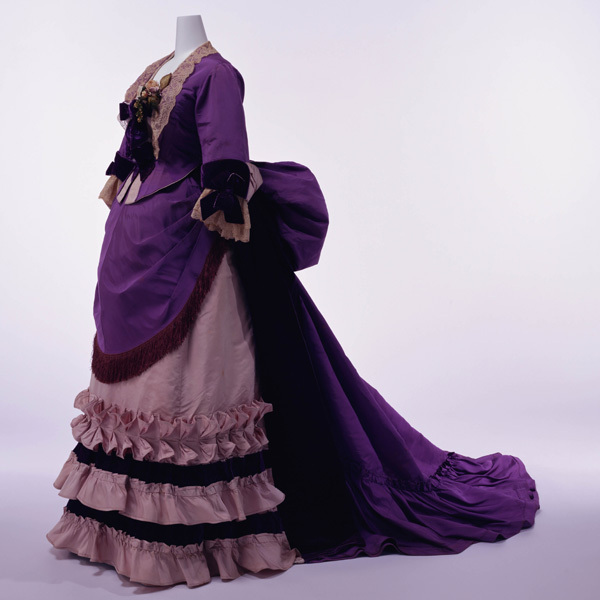 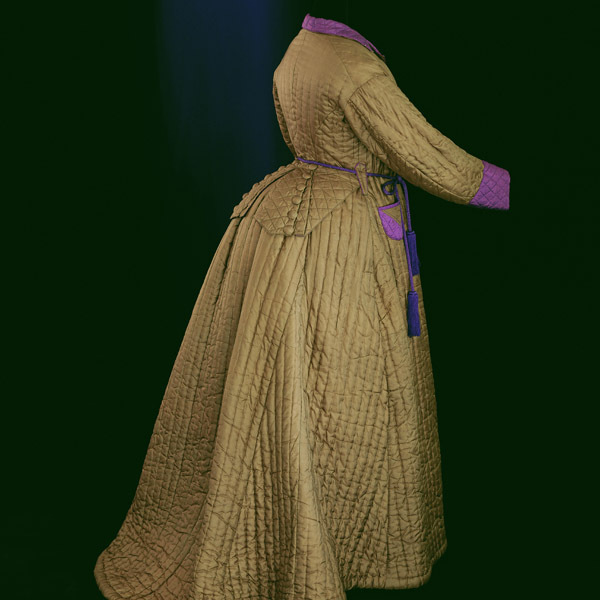 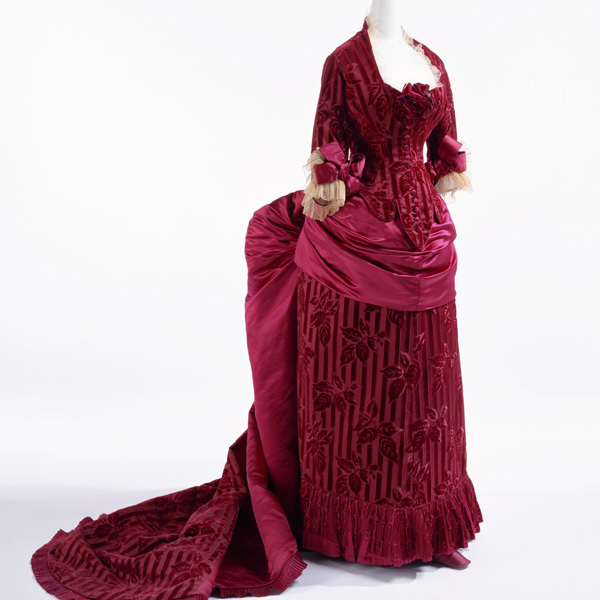 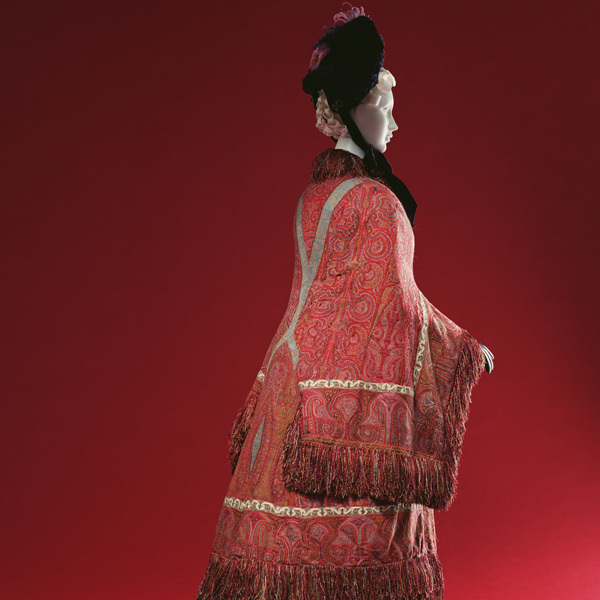 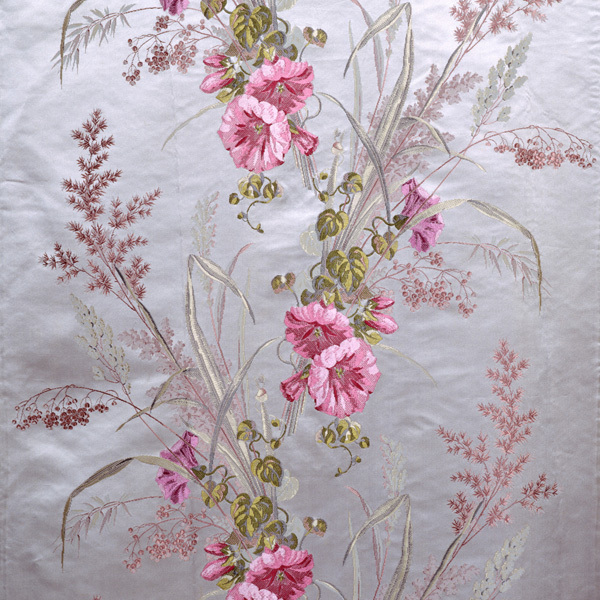 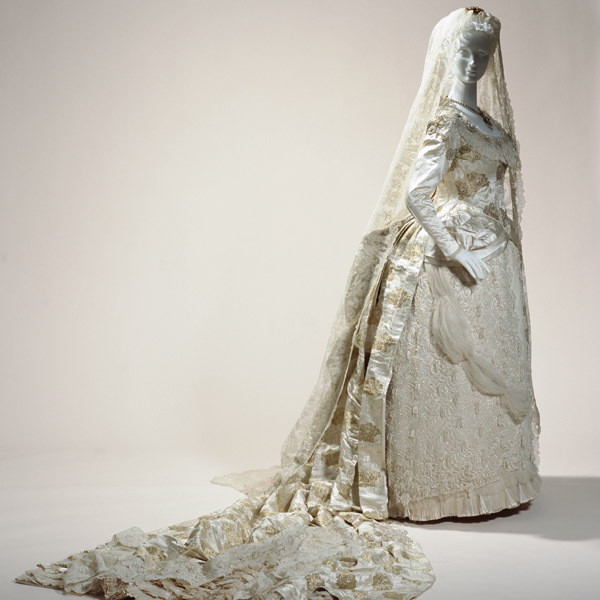 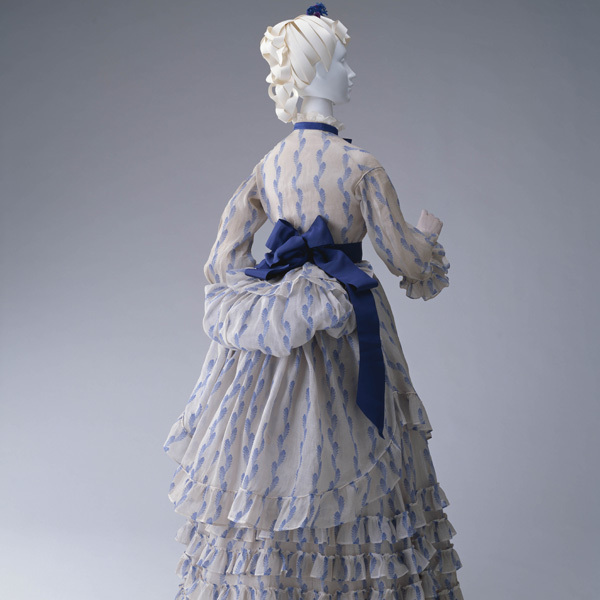 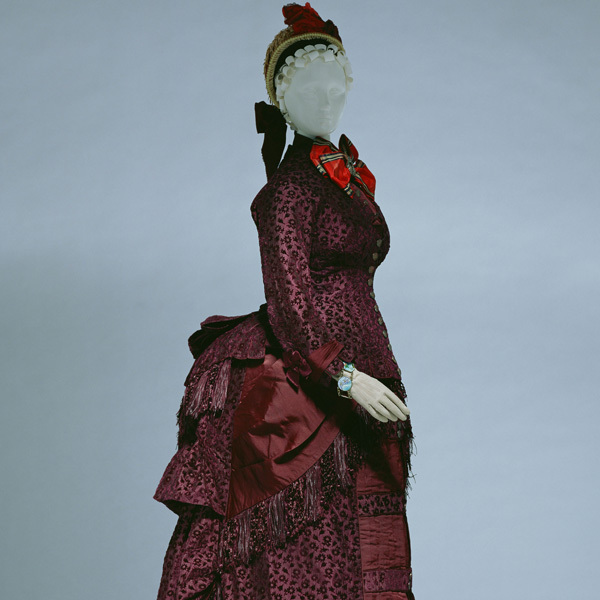 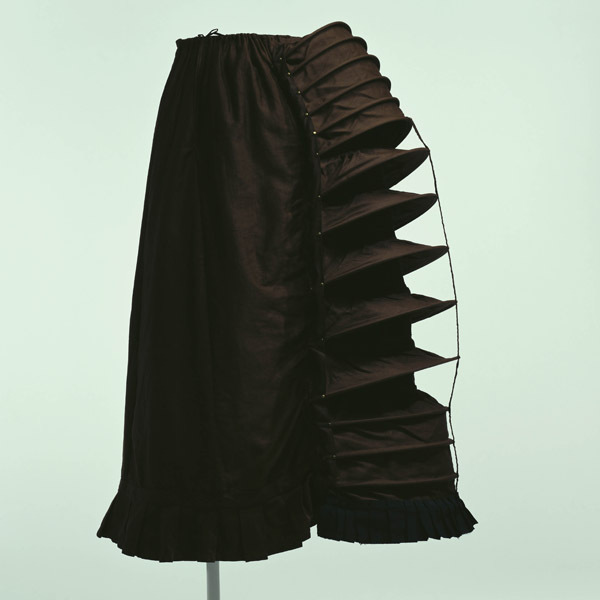 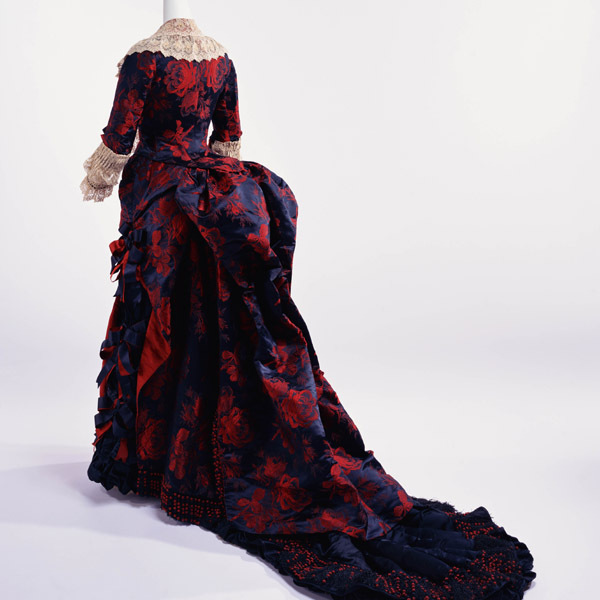 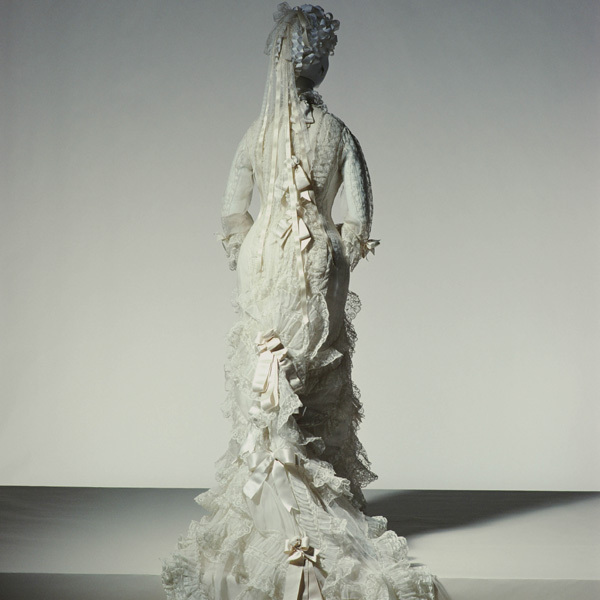 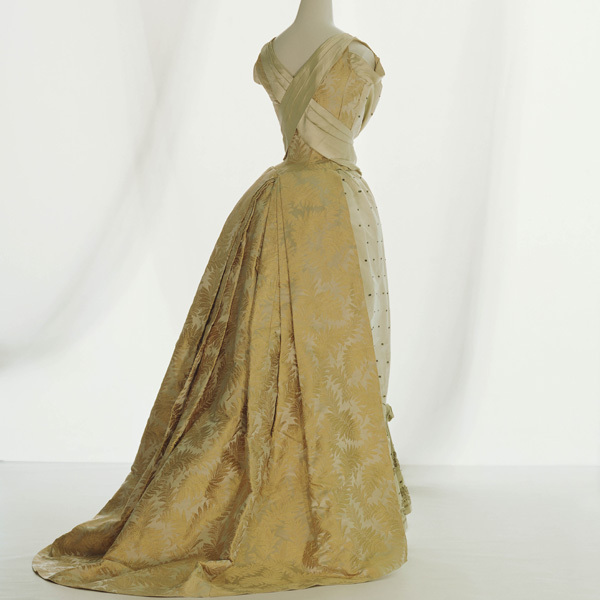 The use of crinolines allowed the overall expansion of the skirt, but in the mid-nineteenth century this expansion quickly became restricted to the back of dress. 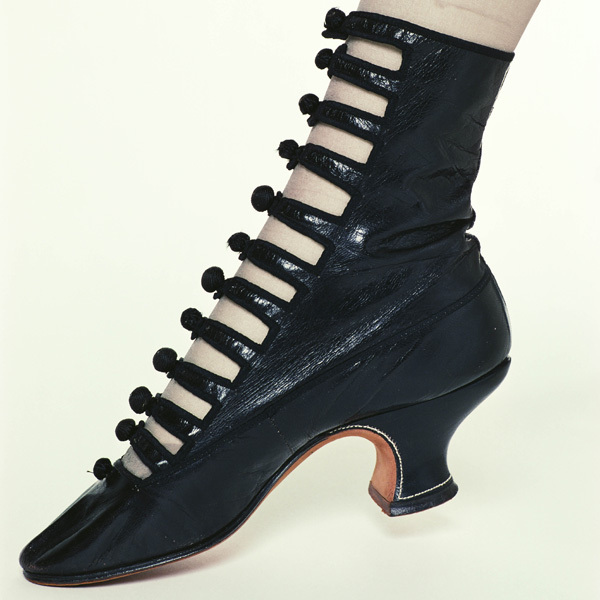 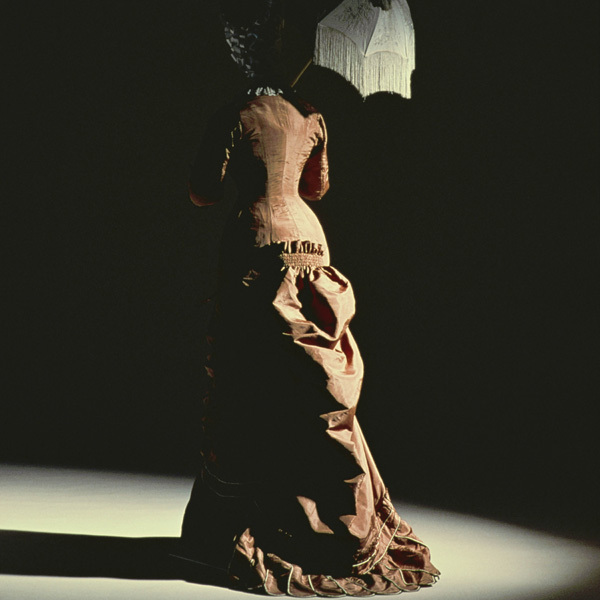 The skirt became flat over most of its surfaces, and only rear projection remained in the new silhouette. 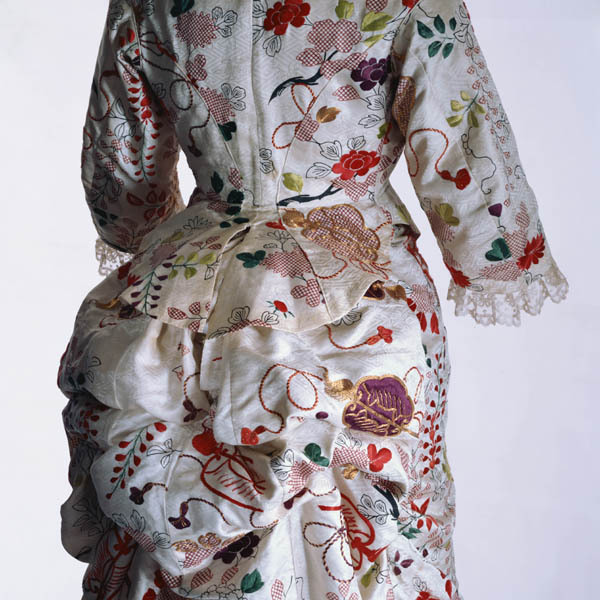 This shape was supported from the inside by the bustle. 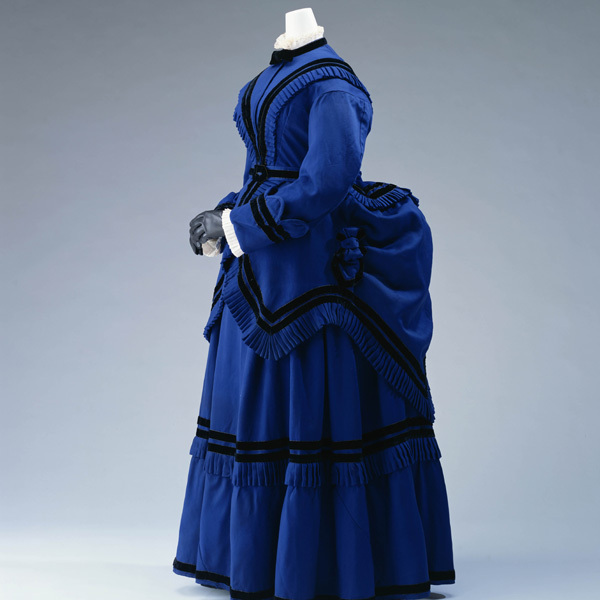 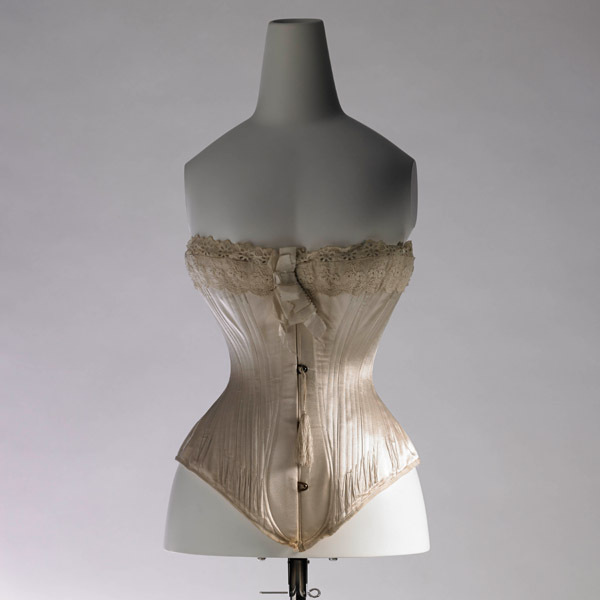 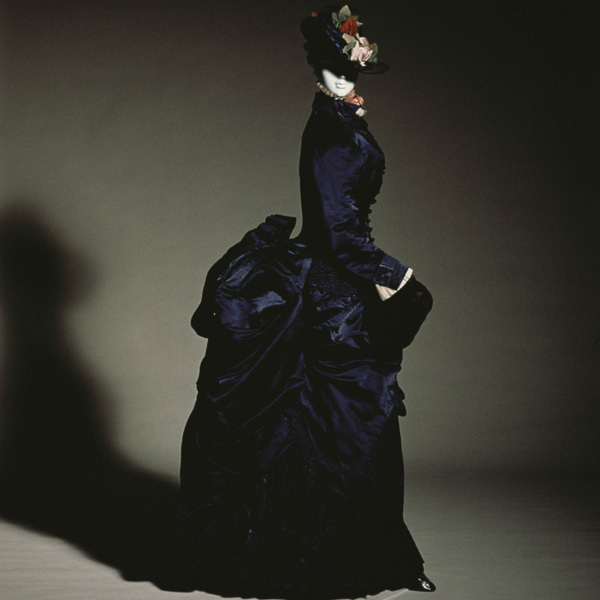 In the period from the 1870s to the 1880s, there were many variations on the now fully developed bustle. 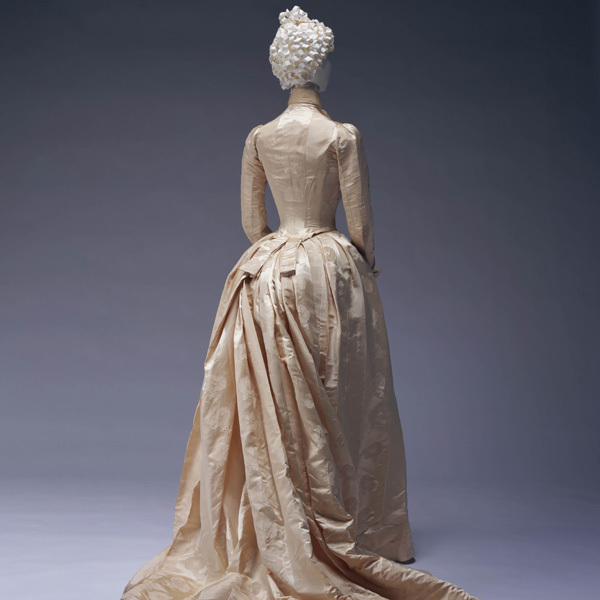 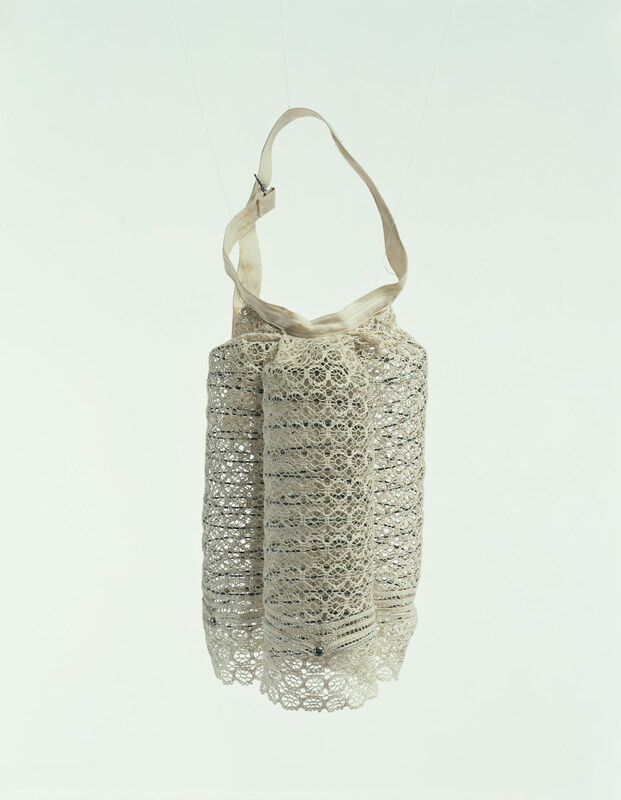 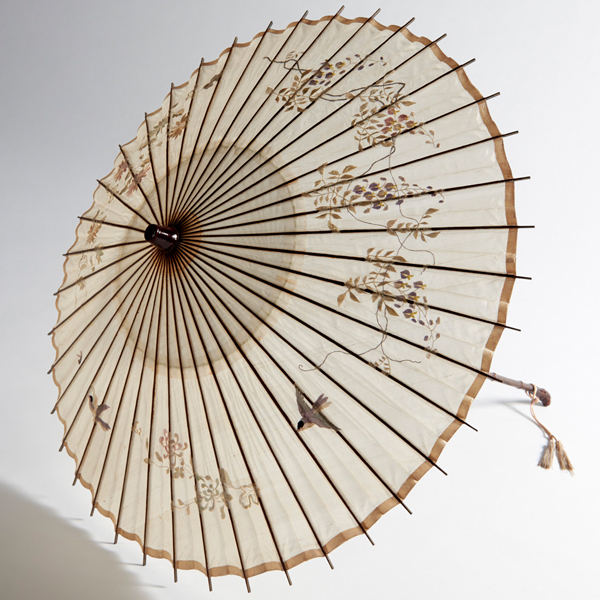 A variety of bustle constructions appeared, including cushions filled with horsehair, stiffly starched cloth, and frames of whalebone, bamboo and rattan.